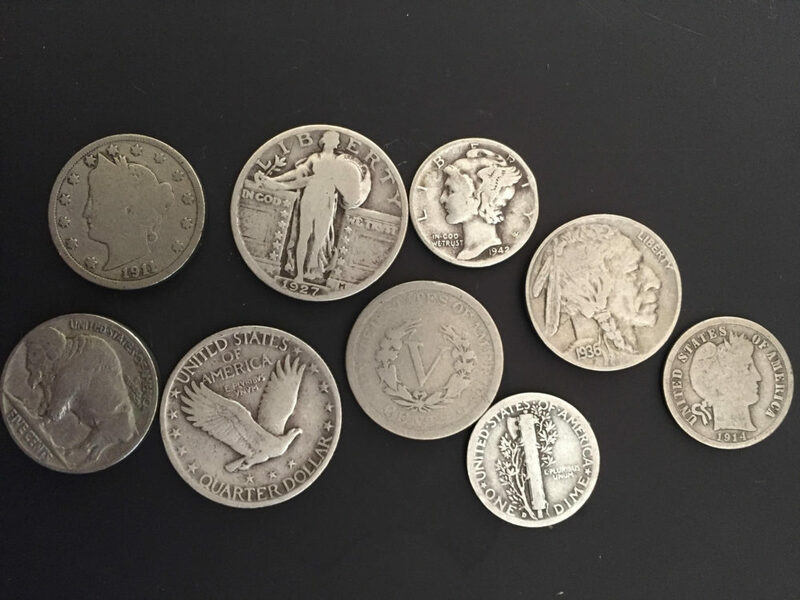 Looking for the value of old coins made between 1900 and 2000? There are still so many old coins from the 1900s in circulation that are just waiting to be found! You might be surprised to find out that your pocket change could contain old coins worth much more than their face value. It certainly makes you want to take a second look at all of the coins you have in your loose change jar, doesn’t it? See… old coins are more readily available than you probably thought! Below, you’ll find the value of old coins that you’re most likely to find in the typical fashion — pocket change finds, coin roll searching, and as heirloom pieces. If you’re looking for coin values that you don’t see below, we’ll tell you where else you can find an old coin’s value at the very end of this article. So, what are your old coins worth? Of course, the value of old coins ultimately depends on what condition they’re in. See why coin grade matters when determining the value of old coins. Following is a rundown on coin values for copper, nickel, and silver coins made between the years 1900 and 2000. So, did you find your old coin’s value above? I’m betting if you’ve read on this far, chances are you have a coin that’s not specifically listed above. Correct? Don’t worry — if you have an old coin (one that’s made before 1965), you can be pretty confident it’s worth more than its face value. But how much more?